Everybody loves music, and Woodstock high school likes to put on a show for people to enjoy. Recently, the chorus put on a wonderful hour-long show featuring songs such as Ruben Ruben and Green Sleeves. Each different group took their own time to perform their own music. The chorus is only made up of about 12 people per group. The concert began at 7:30 and ended around 8:30 in the Woodstock high school auditorium. Chorus is a music program that helps kids in our high school find a way to connect and show their passion and love for music together. They all have a way to express stress, feelings, and emotions through their music. Kids in chorus enjoy providing enjoyment and entertainment for our high school. Chorus is also a great way to fund money for the school and other social events. Chorus concerts are also a great place to go for all your friends and family to spend quality time together. Woodstock High, the home of our chorus groups. There’s several different chorus lines, there is men’s chorus, women’s chorus, advanced women’s chorus, varsity, and Chambers. Each year dedicated singers can move up in the ranks until their senior year if they are experienced enough. On the 15th, all of the chorus groups from Woodstock are going to attend a small evaluation. They all ride out on busses around 3rd period to represent Woodstock high at the LGPE, also known as Large Group Performance Evaluation. This is where each group preforms and is monitored by judges who check and make sure the chorus teacher is doing their job and that the singers are doing well. 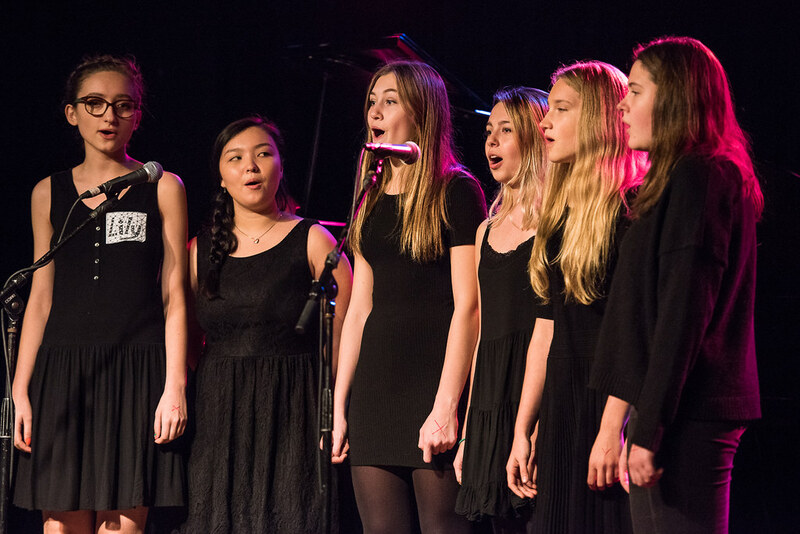 The groups often practice for this by holding small concerts at Woodstock high, such as the one on Wednesday, March 8th, to prepare and make sure they are ready for LGPE. Each group performs their own songs and get evaluated in their own way.